The BCCI have just announced the Indian squad for the ICC World Cup 2019 to be held in the UK next month. And the decisions they have made could well have inspired some deep and conflicting thoughts among the Indian players. It is hard to understand where life takes you at times. Life does funny things to you. Let's ponder over the uncertainty of the lives and careers of a few Indian players. If we conduct a poll and ask people when Dinesh Karthik made his international debut, very few will answer that he burst on to the scene even before MS Dhoni did. Karthik has experienced a roller-coaster ride since; he has constantly been in and out of the side, but has managed to be around somehow. Karthik had a great player like Dhoni to overcome, which was quite unfortunate. But his numbers, whenever he got an opportunity, never reflected the potential of a match-winner. And yet here he is, 15 years down the line, fulfilling his dream of representing his country in the cricket world's biggest tournament. Who would have thought that at the age of 32, a final-ball six in the Nidahas Trophy would turn things on their head for him? Karthik has become fitter and stronger. He has also become a fearsome finisher, and the KKR captaincy has helped his cause immeasurably. He is still being considered a surprise selection as he did not play the ODI series against Australia just before the IPL, but it is his experience and newly discovered ability of finishing games under pressure that have helped him make the cut. Talking about finishing games under pressure, Rishabh Pant, the 21-year-old left-hander, has failed to fulfill the expectations attached to him. Pant's career has been interesting too. He has the pressure of fulfilling the big shoes of Dhoni, and he has been backed by the greats of the game like Shane Warne and Ricky Ponting to do that. However, his inconsistency and lack of maturity have not helped him. Pant must have been bewildered to hear that one of the reasons why Karthik pipped him was the latter's superior wicketkeeping skills. After all, Pant is India's Test keeper; does that mean India is not playing its best keeper in Tests? This surprise omission may well be a turning point in Pant's career. He may realize that you can't always say, "This is the way I play." He may be on the road to becoming a future star. As far as becoming a star is concerned, Vijay Shankar has gained quite a lot of stardom in the recent few months. Before the Hardik Pandya controversy, would he have been thinking that he would play the World Cup? Perhaps not. But once again, life took a sharp turn, and the youngster made the most of the opportunities that he got. Shankar has a few 30s and 40s to show as of now, but he has certainly caught the eye of the captain for the much-debated number 4 spot in the World Cup. A gun fielder and a handy part-time seam bowler, Shankar would have been overjoyed at hearing his name in the final 15. The player that Shankar had to overcome was Ambati Rayudu, who represents yet another case of life's peculiarities. Rayudu was the roommate of Dhoni in 2004 during the India A tours. But 15 years from then, these two players are at two different ends of the spectrum. It was only a few months ago that the Indian captain Virat Kohli said that Rayudu would be India's number 4. And he has scored at an average of close to 42 in recent times. So what did he do wrong? 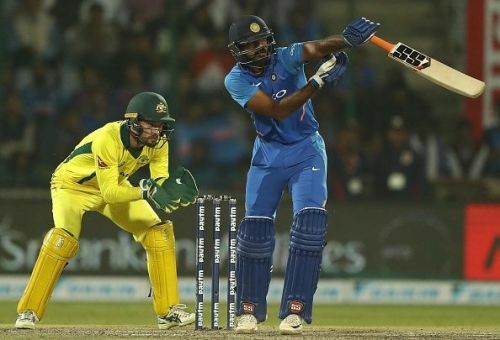 The chief selector MSK Prasad stated that Shankar is a three-dimensional player, but it is important to play need a front-line batsman, which Rayudu is. The selectors also mentioned that IPL form was not taken into consideration. However, besides a poor IPL 2019 so far, Rayudu has done a fairly decent job. The basis of Rayudu's exclusion is pretty ambiguous. But life isn't always fair, is it? All said and done, the team has taken a final call. And while there have been some stories of dreams transcending into reality, there have also been some heartbreaks.